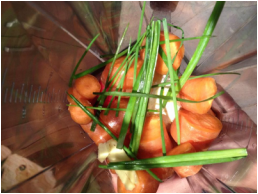 Pop all ingredients into high powered blender and blend. Hey presto, there you have your raw soup. Enjoy!